I've just joined the happy world of blogging, and started working my way through the things I have been making over the past few years. Anyhow, to celebrate, I thought I'd show off this Bettie Page doll I made for my cousin, adapting the Knit Your Own Rockstar pattern in Debbie Stoller's SNB Nation. 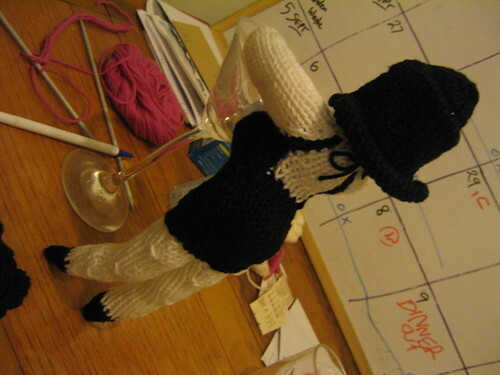 Whoops- just twigged that this ought to have gone into the SNB section of the knitting board... I'm crossposting it to there- Please lovely moderator, do delete this if you think it should be gone!